What is Bios Life Slim™? Bios Life Slim™ is a revolutionary fat burning product; providing the first scientific breakthrough in fat loss in over 30 years. Containing natural, proprietary ingredients, Bios Life Slim™ helps your body naturally regulate the amount of fat stored. Who can drink Bios Life Slim™? Can children drink Bios Life Slim™? Bios Life Slim™ is derived from natural ingredients so it is safe for all ages—but is recommended for adults and teenagers who want to lose excess fat or prevent gaining additional fat. Diabetics can safely take this product if they monitor Blood Glucose Levels and work with their health practitioner to adjust their medications accordingly. The natural ingredients of Bios Life Slim™ are good for any age group. More children are experiencing problems with weight and fat issues than ever before. Children six to twelve should consume only half servings of Bios Life Slim™. For children under six, we recommend you consult your paediatrician about adding Bios Life Slim™ to their diet. Can a pregnant or nursing woman drink Bios Life Slim™? A pregnant or nursing woman should consult her physician about consuming a high fiber drink like Bios Life Slim. Can I drink Bios Life Slim™ with other Bios Life® products? Absolutely, all Bios Life® products are classified as fiber-based dietary supplements. Combining Bios Life® products will add more fiber to your diet and possibly enhance the functionality of the product. What ingredients in Bios Life Slim™ promote fat loss? Biosphere Fiber™ and Unicity 7x™ (proprietary blends). How does Bios Life Slim™ work? Bios Life Slim™ contains proprietary ingredients that help to reduce your appetite, absorbs and removes fat, promotes your body’s fat burning ability, decreases leptin resistance, lowers your triglycerides and improves your cholesterol levels. How often and when is the best time to drink Bios Life Slim™? For best results, drink Bios Life Slim™ at least twice a day, 10-15 minutes prior to meals. If you forget to drink Bios Life Slim™ before eating, drinking it with your meals will still provide some benefits. Can you drink Bios Life Slim™ with herbs or homeopathic products? Yes. Bios Life Slim™ is considered a food. Can you drink Bios Life Slim™ with medication? Bios Life Slim™ is considered a food. If you have specific questions about your medication, ask your physician if it is acceptable to take your medication with a fiber drink. Can you drink Bios Life Slim™ with Lean Control; will it be as effective? Yes, adding Lean Control to Bios Life Slim™ is one way to accelerate fat loss. Can you drink Bios Life Slim™ with alcoholic beverages? We don’t recommend dissolving the packet contents in alcoholic beverages; however, the product is safe to drink before a meal where alcoholic beverages are consumed. Will Unicity International release Bios Life Slim™ in an unsweetened formulation? The new Bios Life Slim™ Unsweetened and unflavored will be launched on July 11th, 2009 at the Leadership Summit at Deer Valley® Resort. Should I cleanse my liver the whole time I am drinking Bios Life Slim™? We recommend cleansing your liver on a regular basis at least quarterly. What kind of sweetener is in Bios Life Slim™? Why is there artificial sweetener in Bios Life Slim™? Sucralose is a good non-caloric sweetener for Bios Life products. Many products throughout the world use this sweetener. Sweeteners like sugar or fructose are unacceptable for many of our clients. Is Bios Life Slim™ considered a Kosher product? Bios Life Slim™ is Kosher certified by the KO Kosher certification service. What is the shelf life for Bios Life Slim™? A recommended two year shelf life. Should I continue drinking Bios Life Slim™ when I have achieved my fat loss goal? As with all Bios Life products, drinking them means making a lifestyle change. We recommend continuing the product even after goals have been achieved. How quickly can I see results with Bios Life Slim™? It may take a full 90 days to balance your body’s ability to regulate fat. However, you will likely see fat loss within the first six weeks. Many experience benefits earlier. Most pharmaceutical drugs produce potentially dangerous side effects. What adverse side effects are associated with Bios Life® products? Some of the adverse side effects from Bios Life Slim™ may include constipation or diarrhoea. If you’re having diarrhoea, please make sure to drink less Bios Life Slim™ so you’ll be able to build up fiber tolerance in your body. 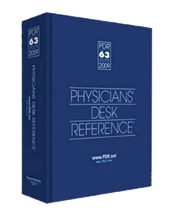 In addition, Bios Life2® and Bios Life Complete, the base product for Bios Life Slim™, are listed in the Physicians’ Desk Reference. What stimulants are in Bios Life Slim™? What are some of the other benefits of Bios Life Slim™? Why don’t I see results? Cholesterol is a wax-like substance that, over time, forms a plaque on the inside of the artery. For most people there are no signs or symptoms that this plaque is building up, which is why it is called the silent killer. Does Bios Life aid in the assistance of weight loss? Bios Life does aid in the assistance of weight loss. Typically, the feeling of fullness results in lower food consumption. I am a type1 diabetic and I am on an insulin pump. Does Bios Life help stabilize blood sugar? Bios Life is very efficient in controlling diabetes. If you have diabetes, take Bios Life Complete three times a day instead of two to get the necessary fiber needed to help stabilize the glucose levels in the blood. Bios Life balances the carbohydrate absorption from your food. Bios Life is equally effective for type1 diabetics as it is for type 2. Is Bios Life effective against FH (familial hypercholesterolemia)? Cholesterol comes from two main sources. One is diet and the other is the body’s own production of cholesterol in the liver. That last portion accounts for 75% of the cholesterol pool. Diet is therefore important, but not as important as our own production. Some people have a genetic difference in cholesterol synthesis called FH (familial hypercholesterolemia), and thus have a higher cholesterol level regardless of their diet. Bios Life is effective for this type of individual as well, since it combines four different mechanisms of lowering cholesterol. Is Bios Life effective in the treatment of hyperhomocystinemia? Hyperhomocystinemia is a cardiac risk factor. Studies have shown that Bios Life is effective at lowering Homocysteine. Can children take Bios Life? Fiber is good for any age group. It regulates cholesterol and the digestive system. More kids have a problem with cholesterol now than in the past. Children, starting from 12 years of age, can take Bios Life. Begin with only one serving a day until the system adjusts. Are there any known side effects, to the kidneys, liver, etc., in taking Bios Life? None. Our studies included complete liver metabolic panels which showed no changes in the standard parameters that would indicate damage to these organs. Why is Bios Life a drink mix and not in tablet form? With tablets or capsules you would need to take 7-8 per serving to get the amount of needed ingredients in one serving of Bios Life. More importantly, Bios Life works because it forms a large gel matrix when it dissolves in water together with the calcium salt in it. A tablet would be too condensed and would not form the necessary gel matrix. Do more scoops or packets of Bios Life per day cause a faster and more substantial change in LDL and HDL levels? Yes, we know that more is better. More fiber better stabilizes your cholesterol. Our published results reflect the prescribed directions on our packaging. Following those same directions should deliver similar results. Using more would provide better results. What is the daily dose of Bios Life? Is one packet a day sufficient to maintain already good cholesterol levels? Two packets or servings of Bios Life a day provides the optimal level of performance. Regardless of your current cholesterol levels, the additional benefits of Bios Life are important for everyone. In addition to maintaining healthy cholesterol levels, the fiber in Bios Life also improved immune levels and digestive tracts. When it is suggested that Bios Life is to be taken before a meal does the size of the meal matter? Not that much. Typically the bigger the meal the more cholesterol you will have in your system which requires more cholesterol for Bios Life to absorb. How long should you wait after taking Bios Life to take other supplements? This also holds true for other medications: With 95% to 98% of ingredients we take into our bodies, there will be no interaction, but it slows down the system, so that the absorption will be slower but the total amount of vitamins, minerals and other medications absorbed will still be the same. With most vitamins there is still absorption from the fiber matrix into the blood. The fiber bonds with the minerals and increases the absorbability. For medications the box says 1 hour before and 4 hours after. Always consult your physician if you have any concerns regarding your specific medication needs. Is Bios Life as effective if mixed with carbonated drinks like diet sodas? As long as one does not mix Bios Life with warm water, it is ok. Carbonated water or soda pop does not interfere with the mechanisms. Should you heat the product, the phytonutrients present in the product may be destroyed which will limit the effectiveness of the product. What is the glycemic index of Bios Life? This has never been measured, but since the glycemic index (GI) determines the effect a product has on the glucose levels in the blood, we can safely assume that the GI for Bios Life is very low, if not zero. Fibers are the only carbohydrates in the product, but they are not digested or absorbed into the blood stream. Is Bios Life dangerous for people with liver diseases such as, Hepatitis B or Sclerosis of the liver? Hepatitis is an inflammation of the liver and Sclerosis is from alcohol consumption. Bio Life will not improve those diseases but it will not make them worse either. What is the percent or mg amount of policosanol and what is the breakdown of the phytosterols in Bios Life? Bios Life contains 6 mg of policosanol and 1 gram of phytosterols (including beta sitosterol, stigmasterol, and campesterol) per serving. Does Bios Life have a form of H&G collate similar inhibitors that are the basis of statins? Does Unicity research show potential liver effects in patients that are already using statin medications? The policosanol in Bios Life works similarly to statisn but they are not the same thing. Statins bind in the cavity of the enzyme to prevent it from working and policosanol binds on the outside so the side effects are not present with policosanol. With statins, after 12 weeks, certain proteins are being made by the liver that indicates the damage that is occurring. Unicity checked liver parameters in a study in Guam, we looked at base line liver parameters and after 6-12 weeks nothing indicated the liver was effected in any way. Does policosanol have similar effects as statins? No. They are similar mechanisms but very different. Statins bind to an enzyme that is responsible for synthesizing an intermediate molecule in the cholesterol pathway. Policosanols work in a very different way and does not have the side effects that statins have. With statins, the liver starts to synthesize certain enzymes that indicate liver damage while policosinols do not. If the policosanol in Bios Life lowers cholesterol in a similar way to statin drugs, does that mean it will inhibit the Co-A Reductase enzyme thereby suppressing the production of cholesterol and give rise to liver damage and Muscular Myopathy? The fact that statin drugs suppress that enzyme is not the reason they cause damage to the liver. It is probably the cleanup of the statins by the liver that causes these problems. Policosanol works the same, but does not exert the damage to the liver as statins do, as proven by a number of studies, including our own with Bios Life. Is the policosanol in Bios Life safe to use for someone who has confirmed statin problems including elevated liver enzymes and muscle problems? The policosanol in Bios Life lowers cholesterol in a similar way as statin medications. A number of studies indicate policosanol had no effect on liver enzymes or other metabolic panel parameters after 12 weeks of use. What is the potassium level in Bios Life? Is this product safe to use for patients with a kidney problem? The amount of potassium in Bios Life is from the naturally occurring whole food product found in Bios Life and therefore should be very nominal levels, below the 2% daily value. We do not add any additional potassium to the blend. How much chromium is in Bios Life and how much is considered toxic? According to the Council for Responsible Nutrition, the maximum level for chromium is 1000 mcg. There is 55 mcg per serving in Bios Life. Is niacin or niacinamide used in Bios Life? Bios Life contains niacinamide, however both forms are labeled identically, according to US food law. Bios Life has two mg of cholesterol listed on the nutrition facts label which ingredient does this come from? Bios Life is a food. That is why we must include nutritional facts on the label. The phytosterols in the product, which amounts to 1 gram per serving and 2 grams per daily dose, contains a minute amount of cholesterol. In fact, the 2 mg amount is 2% of daily intake of cholesterol. But, don’t worry, the amount is so insignificant that it will not have any negative effect on your total cholesterol levels and the other ingredients in Bios Life will counteract your high cholesterol levels. Sucralose is a non-caloric sweetener used in many products around the world. Sweeteners like sugar or fructose are unacceptable for many of our clients. However, we do have a non-sweetened, non-flavored form you can mix with any drink, such as juice, to make your personal favorite drink.